This student is the Bubble Master! 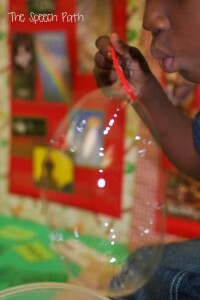 I had my bowl of bubbles sitting on my therapy table from an earlier language group when in walks my articulation group. Their eyes lit up when they saw the bubbles and we just had to figure out a way to incorporate the bubbles (without just playing!). This is one of the reasons I love what I do…we can make boring articulation therapy into fun practice with such simple materials! 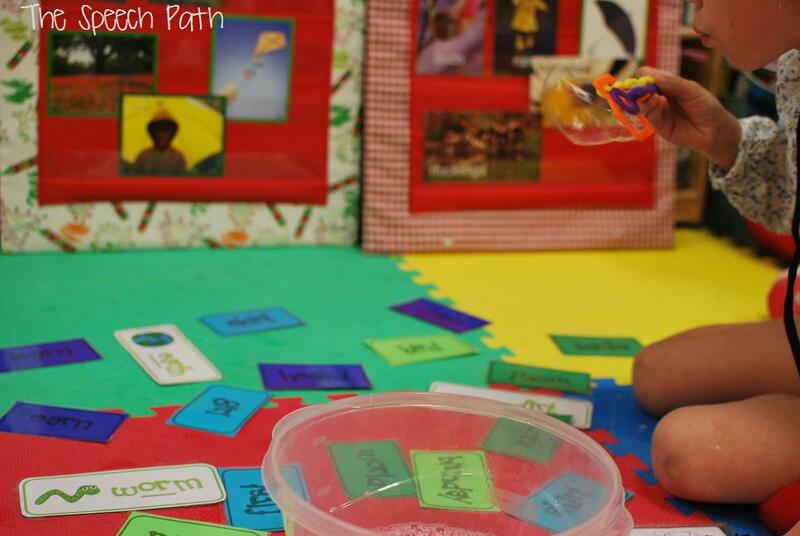 Articulation Therapy – Bubbles style! So we spread out the Earth, Worm, Dirt “er” cards that we have been working with and began to blow bubbles onto the cards. 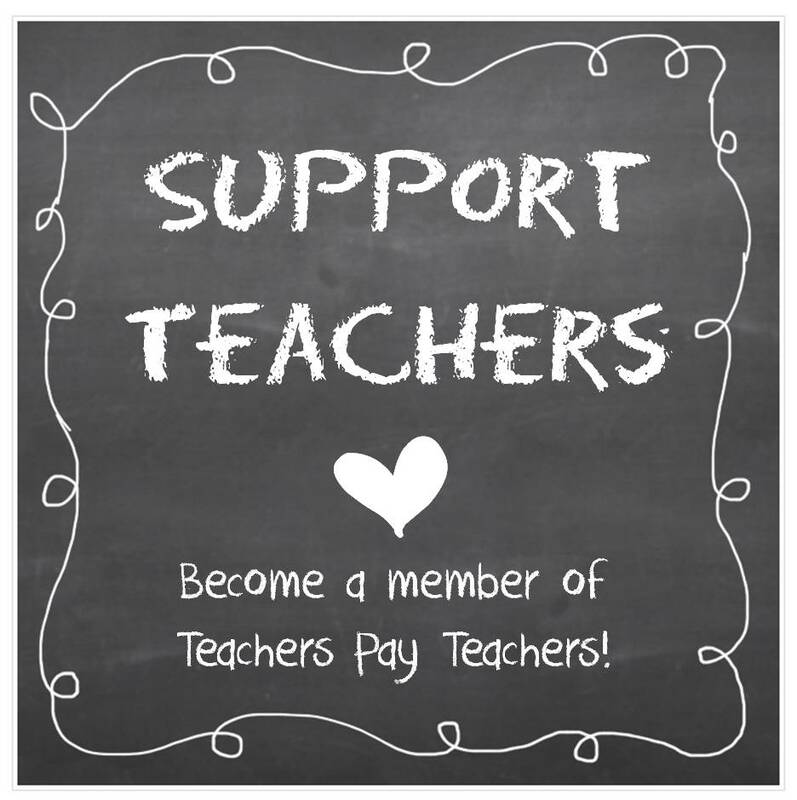 This is the “er” word sort that I found from Once upon a First Grade Adventure on Teachers Pay Teachers. 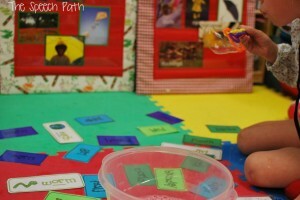 You can of course use any target words, just make sure they are laminated because they do get soggy! 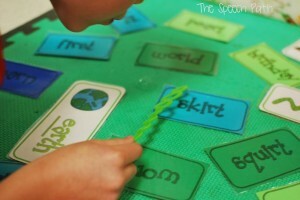 How many bubble words can you use in a sentence? There are many ways to play. 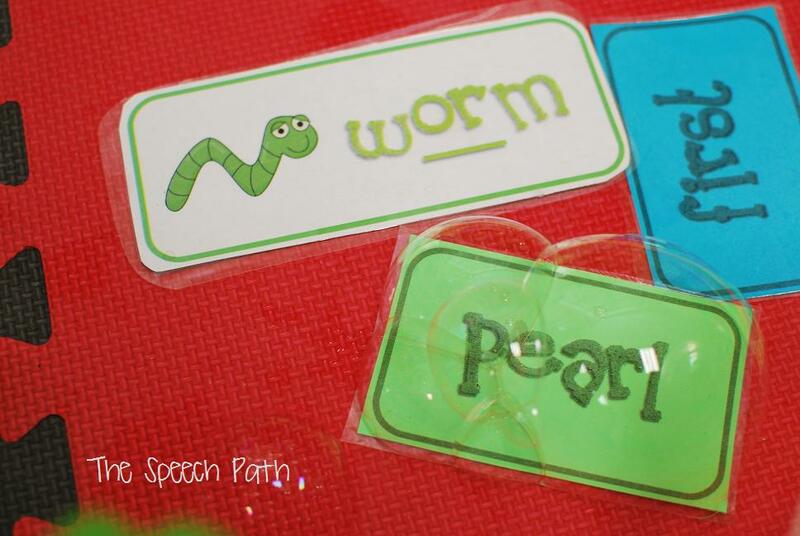 It can be simply that you make sentences with the cards where the bubbles land. Or you can challenge each other to see whose bubbles can land on the most cards (and then create sentences). If a bubble popped too early we would incorporate the word that it did not land on. We also predicted which words our bubbles would land on. Any way you looked at it, we were getting in a ton of reps with our target sounds. Everyone needs a little bubble therapy! Don’t you just love it when you have a successful day of therapy and have fun doing it? I’d love to hear from you about therapy ideas that surprised you!